It does not make business sense to pay for on-premise physical hardware. Knowing what you can safe by using Azure it makes great business sense to be in full control of your IT spend without operational sprawl. The ability to only pay for what you use and manage your resource requirement with a click of a button. Simply add more computing power when you require or scale it down when you are done. No operational sprawl, no time or money wasted – Azure gives you secure, efficient and scalable public cloud infrastructure. This workload is perfect for low performance and read-write operations. Web Fronts that are servicing low traffic volumes such as internal applications or static web pages would be a perfect fit. With fast premium storage, this machine is perfect for running those HR and Accounting packages for small businesses. Reduce the performance when you aren’t using it and increase when you do, it’s a win-win for cost-saving and productivity. The best performance for SQL Server on Azure VMs. If your workload is less demanding, you might not require every optimization listed below. Consider your performance requirements and workload patterns as you evaluate these recommendations. $91.26 / R1, 295.83 p.m.
$142.50 / R2, 023.48 p.m.
$570.00 / R8, 094.00 p.m.
* The above pre-configured VM’s is a basic guideline. The correct sizing of customer requirements needs to be facilitated by the partner. Sizing and performance is based on software and workload requirements. Although OneDrive is licensed for each user in the organization, the data saved to OneDrive is only accessible by the user who saved it, unless, the user has shared the data with other users. When data is saved in a SharePoint Team site, the files and data belong to all users with permission to the specific site. The user has control over the data and who can access it. Permissions are managed centrally and controlled by the administrator or users with admin rights. Because a OneDrive account belongs to a specific user, it is mostly used for low collaboration activities. 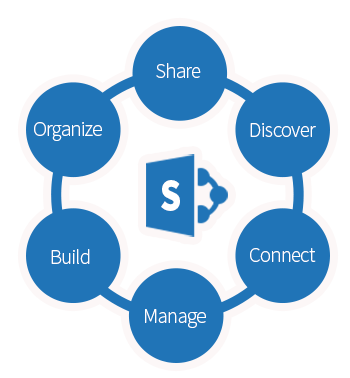 SharePoint Online Team Sites were built with the purpose to make collaboration an easier and painless task. With the ability to seamlessly create sites that you can use to store files, collaborate with others, create tasks, manage schedules, build workflows, or simply, blog about any subject matter that appeals to you or your team. Share documents saved to your OneDrive storage included in SharePoint Online plans with anyone, sync files and data from your device to the cloud for accessing even when you’re not at the office. Work better together by editing documents at the same time. With its rich features, you will be able to chat with your co-authors within the same document and easily revert back to previous versions of the file when the need arises. Use the included unique visual search tool (Delve) to find relevant content within your Office 365 tenant. You’ll be able to find documents you, or your team members, have worked on recently (Only possible on files and documents you have permissions to). With Office 365, SharePoint offers enhanced security technologies, is easy to manage, and can be accessed from almost anywhere Connect with employees across the enterprise. Use SharePoint to engage with people, share ideas, and reinvent the way you work together. Want to offer SharePoint Online to your customers but need some assistance? Through our GoFirst Cloud Services offering, you can leverage the skills and expertise of experienced deployment capability without having to get certified yourself – a professional service you can white label. SharePoint can be used to provide intranet portals, document & file management, collaboration, social networks, extranets, websites, enterprise search, and business intelligence (BI). It also has capabilities around system integration, process integration, and workflow automation. Windows Azure – Microsoft’s cloud infrastructure platform – has become a major part of Microsoft’s overall strategy. In addition, the Windows Azure SQL Database, formerly called SQL Azure, has become a major component of Windows Azure itself. 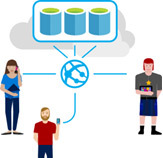 The SQL on Azure solution offers great savings in traditional businesses today. And when you utilise your SPLA agreement the savings are even greater! Microsoft’s ambitions for Azure in general, and for Windows Azure SQL Database specifically (which we’ll call SQL Azure in this article for the sake of simplicity), are much greater than just providing a database-backed service in the cloud. Their intention is to create an infrastructure for petabyte-scale “big data” and everything on down. Use the tools you already have. 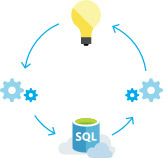 Working with SQL Azure can be done via SQLCMD or the SQL Server Management Studio, both of which ought to be intimately familiar to SQL developers. High availability out of the box. Azure generally obviates the need for building high availability architectures. This applies to SQL Azure as well; any databases built within it are automatically highly available. For people who are sick and tired of dealing with the hassle of setting up SQL Server, apportioning databases and mucking about with physical machines in general, having your database hosted in such a way where all of that becomes someone else’s job is a big plus. This is doubly so if you’re starting fresh and don’t have an existing store of data to pipe up into the cloud somewhere. Elasticity. A much-abused buzzword, but in SQL Azure’s case, it applies. Applications written for multiple databases (via sharding, for example) can be scaled out with Azure by adding instances as needed. That said, the best benefits of SQL Azure don’t just consist of being able to spin nodes up or down on demand. Microsoft also provides an infrastructure of federations to make scaling out easier and less impactful, as well as tools like the SQL Azure Federation Data Migration Wizard to further automate this process. Scalable service plans for multiple needs and budgets. 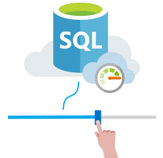 The industrial-strength features of SQL Azure may seem like overkill to folks with relatively modest needs, but Microsoft has taken steps to make SQL Azure appealing to both big and small business users. For one, they created a pricing structure that allows users with smaller needs to be accommodated; you can pay as little as $4.99 per database per month, with the maximum storage currently set at 150 GB per database. Growing support for non-Microsoft technologies. What? Yes. No paradox there: The more third-party software technologies Microsoft is able to support across all the different layers of Azure, the more likely people will use it to build applications with other software they’re already comfortable with. 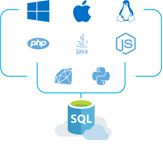 Aside from Python, NoSQL, Java, node.js, and PHP being supported throughout the Azure stack, one other major and pivotal tech that specifically applies to SQL Azure is Hadoop. The Hadoop on Azure system (Windows Azure HDInsight) is only available by invitation right now, but its mere presence is significant. Use it via a VM if you need it. One of the ways SQL Azure manifests being part of the whole stack is by offering multiple levels of implementation. If you simply need a website and a database, you can hitch a SQL Azure instance to an Azure website and be done with it. If you need a full-blown virtual machine (VM), you can get that as well — and even use a locally deployed instance of SQL Server in the VM instead of SQL Azure. If you already have a clutch of SQL Server-stored data somewhere and want to either sync it with SQL Azure or passively migrate it via sync, Microsoft has published a service — the appropriately named SQL Data Sync — to accomplish this. 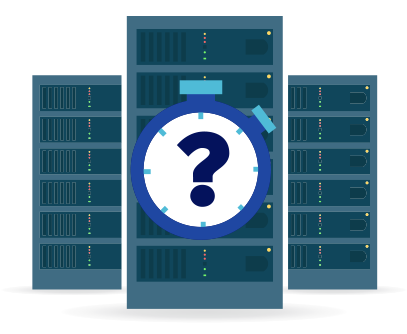 Use of the service itself is free, and all inbound data to Azure costs nothing, so you won’t have to worry about racking up costs by syncing gigabyte-sized tables.